Made-to-order cupcakes or mini cupcakes at Bliss Yogurt in Orange. 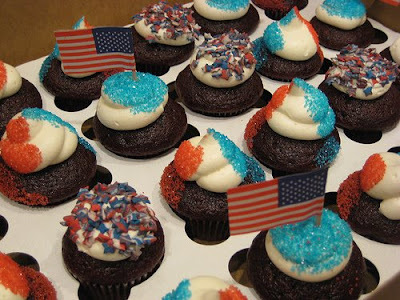 "Fireworks" Vanilla Cupcake or 4th of July Red Velvet. Cupcakes are $3.00 each at Newport Beach store. They also have so many other delicious desserts to choose from. 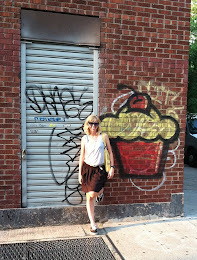 Be patriotic with the Lemon Blueberry cupcake. Available June 26-July 3 for $3.25 each, also in Newport Beach. 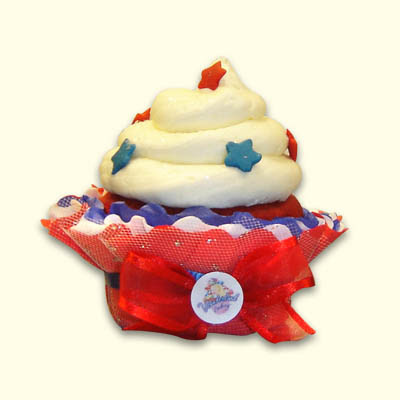 Special 4th of July cupcake with proceeds going to the USO to support our troops. Vanilla cake with chocolate filling and vanilla cream cheese frosting. The closest shop is in LA, but worth the drive. $3.75 each.